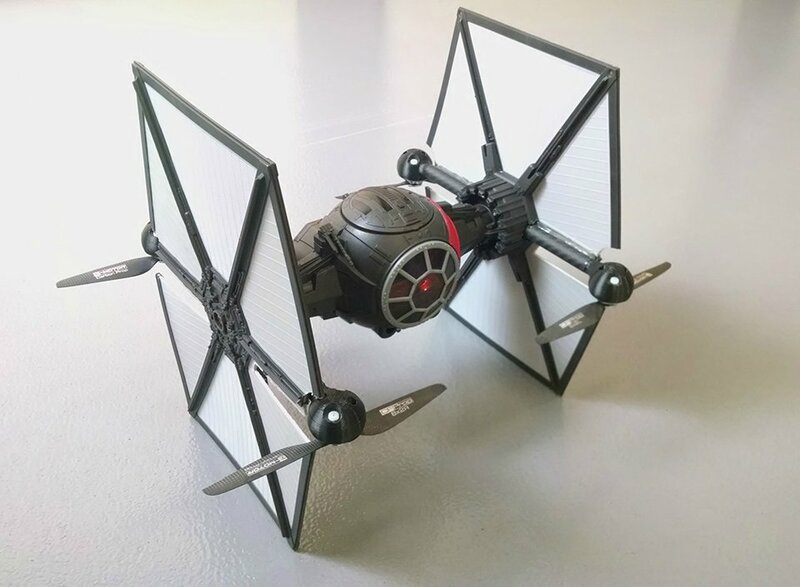 Like the Imperial speeder bike quadcopter we saw earlier this year, YouTuber ajw61185’s quadcopter started out as a toy. He modified Hasbro’s First Order Special Forces TIE Fighter, and turned into a flying day care center. Ajw61185 cut holes on the toy’s wings and the bracket that holds the wings so he could install the propellers and motors, then he hid the battery inside the cockpit.